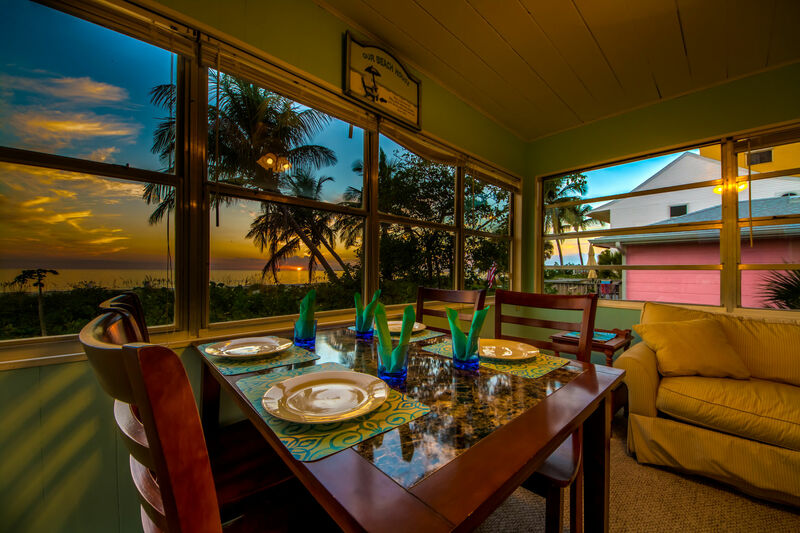 Peak Dates are still Available! 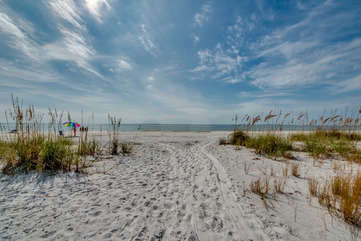 Do not miss this opportunity to stay directly on the beach. Literally, walk out your door to the sand. 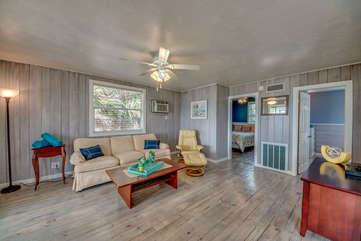 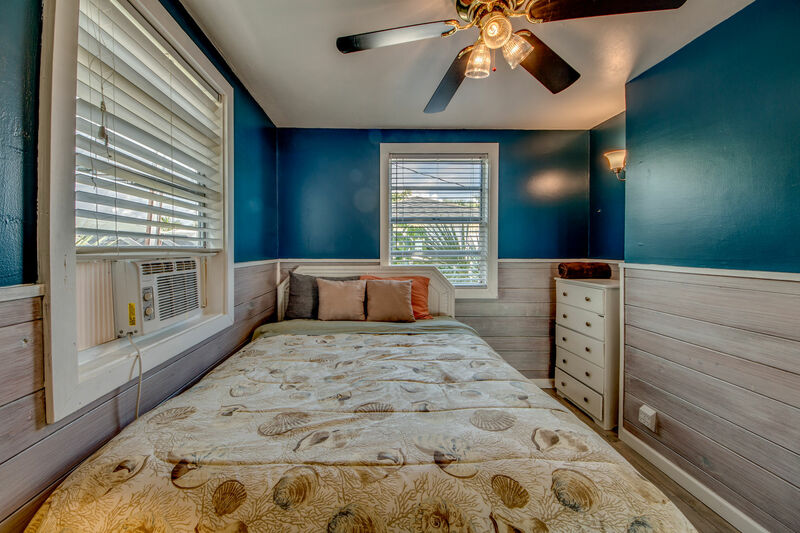 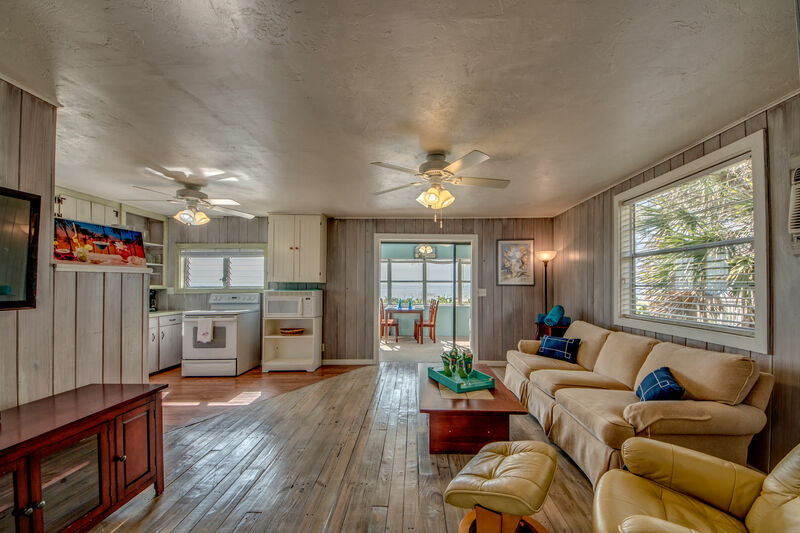 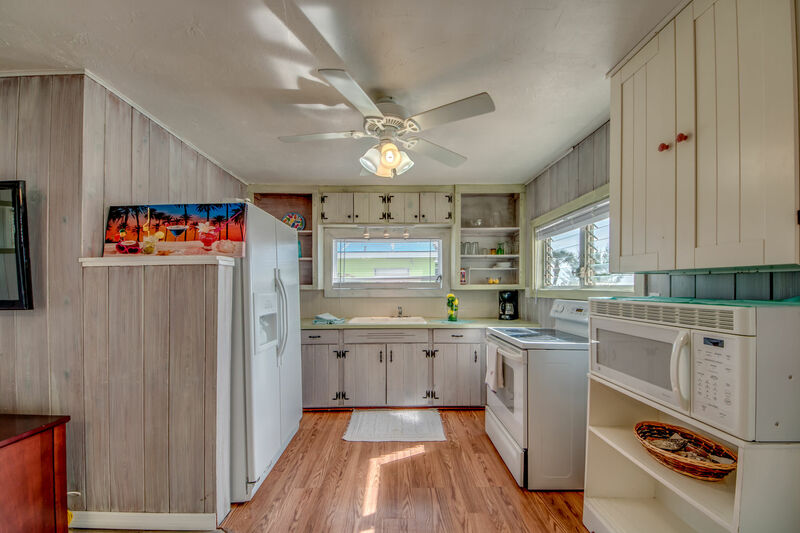 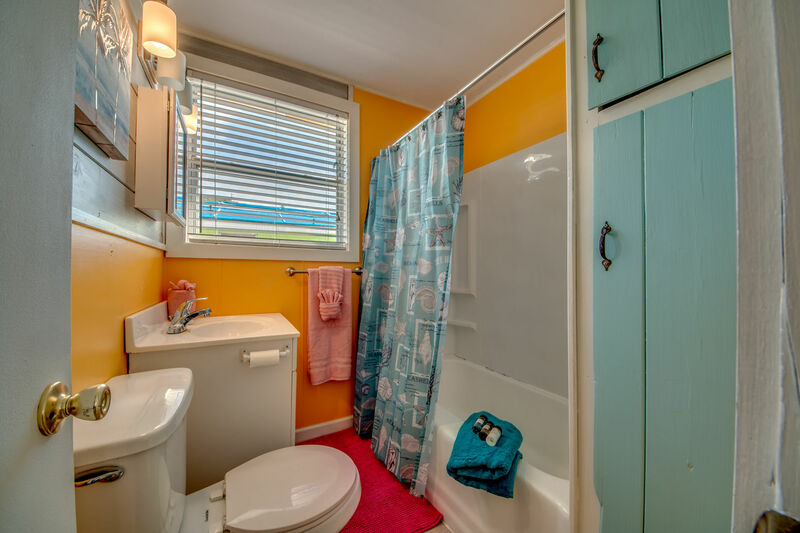 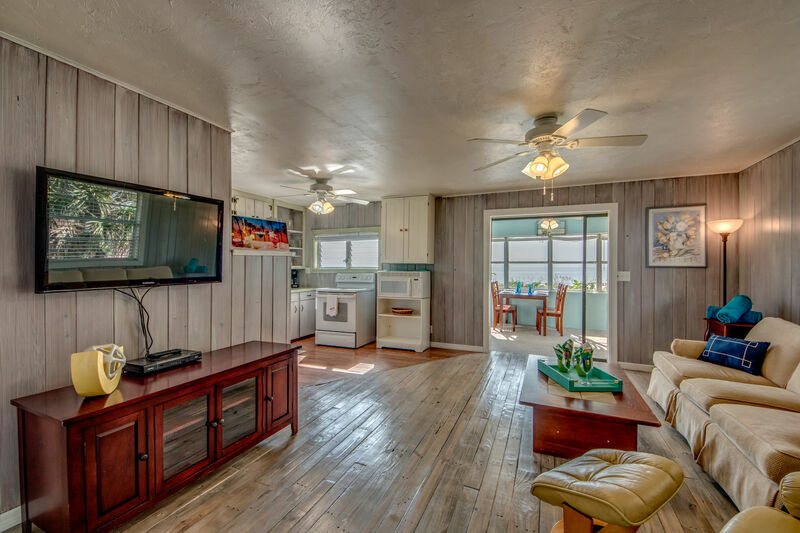 This quaint beachfront cottage will deliver the beach vacation you are dreaming about. 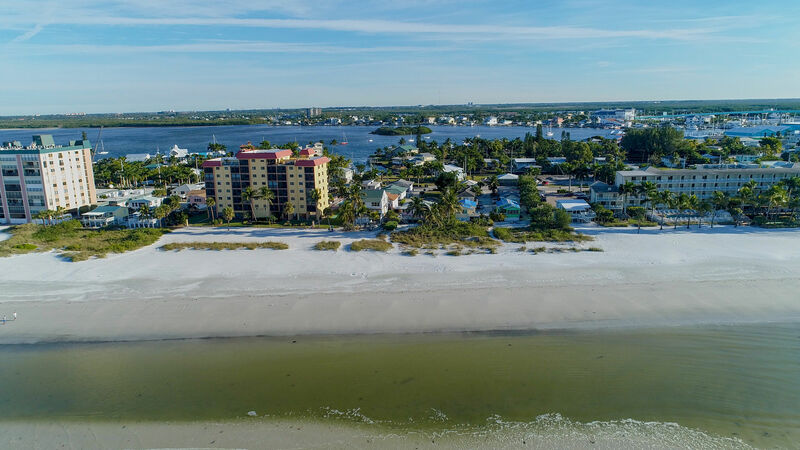 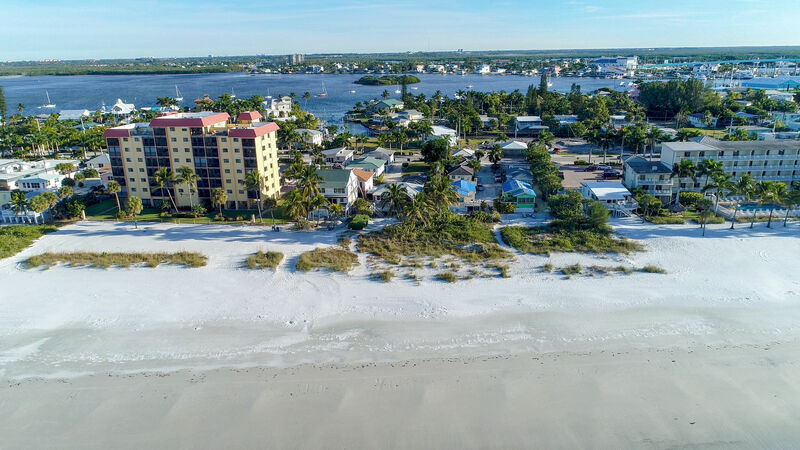 Fort Myers Beach is your one-stop activity spot with dining, entertainment, excursions, shopping all within walking distance. 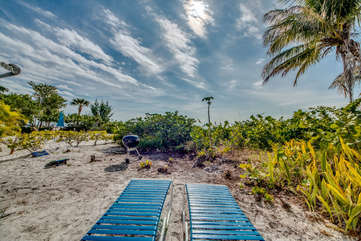 At certain peak times of the year, the island has a trolley that can take you from one end to the other of the beach island. 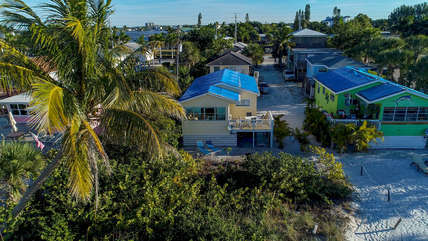 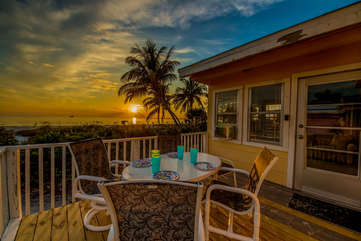 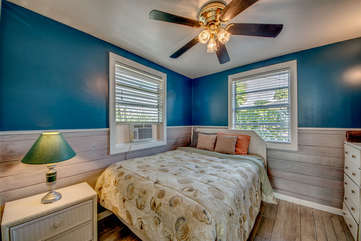 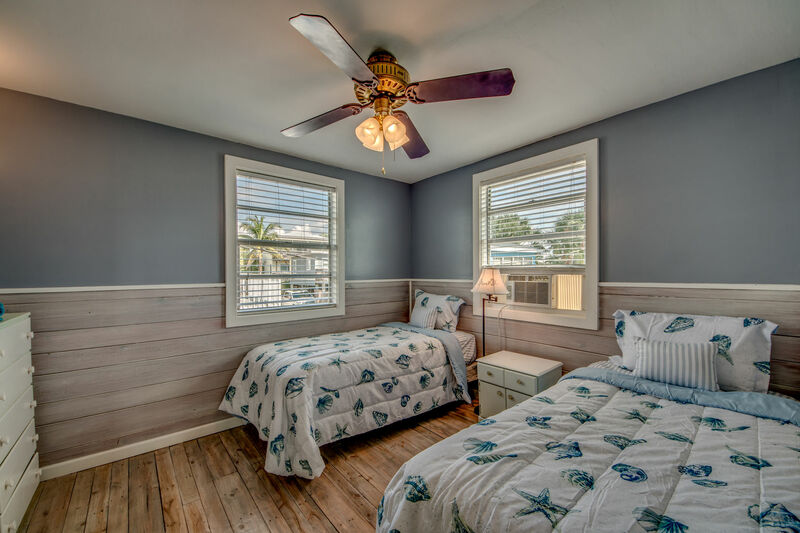 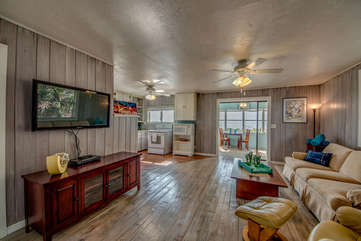 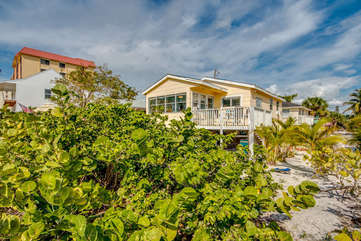 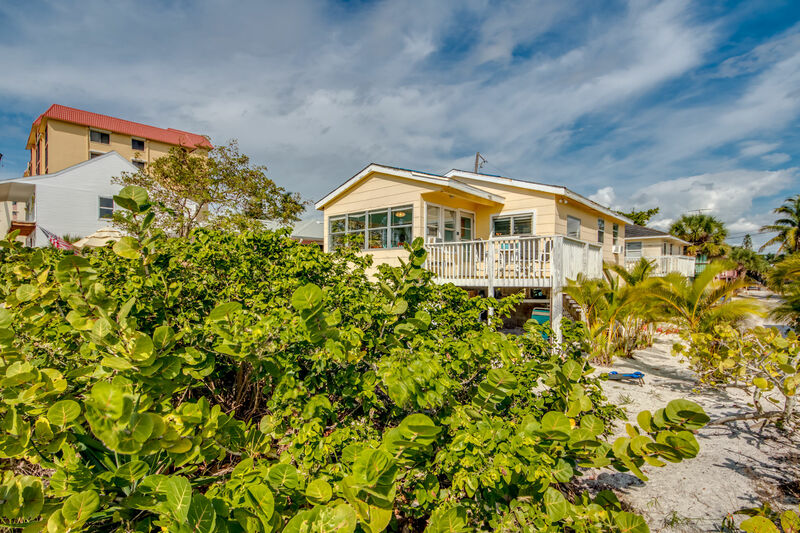 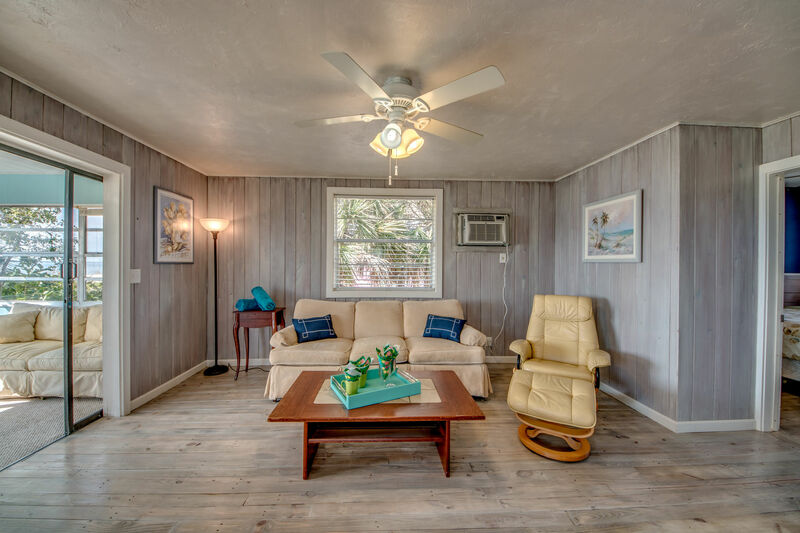 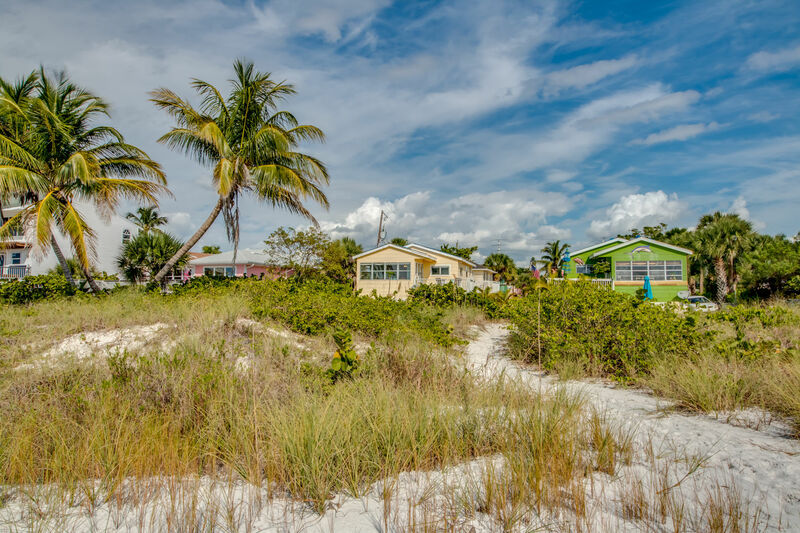 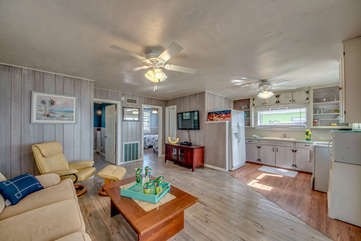 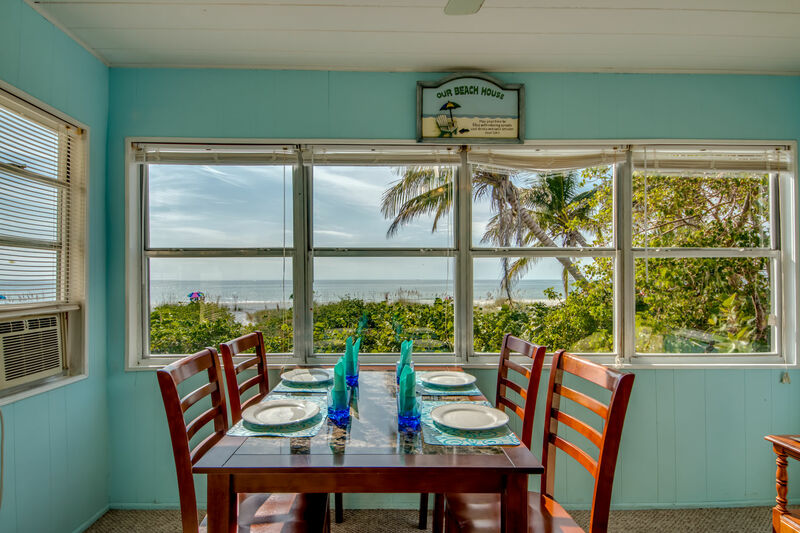 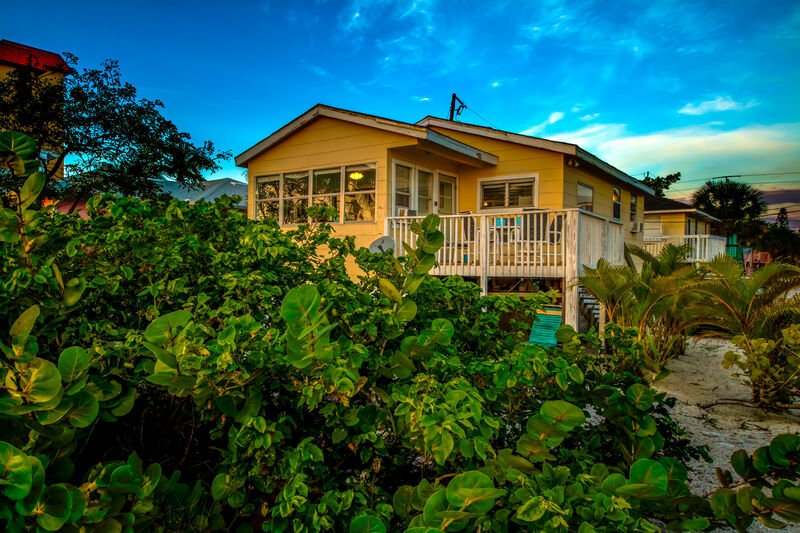 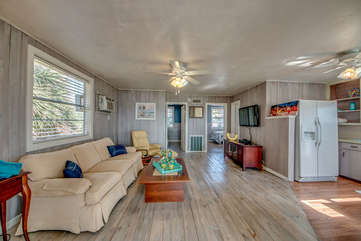 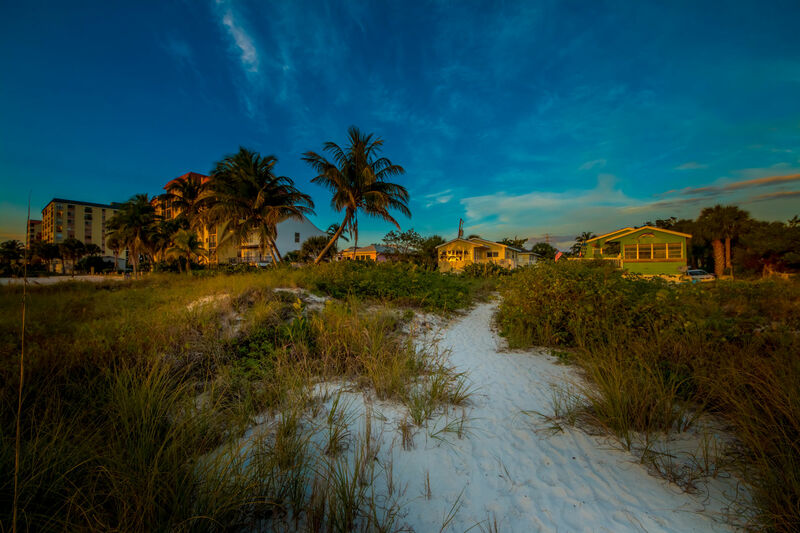 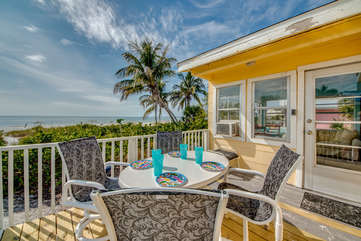 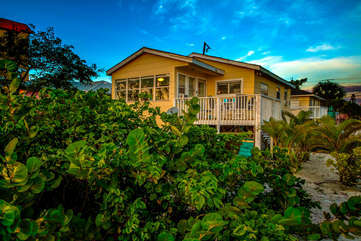 The Beach Front Bungalow sits directly on Fort Myers Beach. The sunsets over the Gulf of Mexico will surely amaze you as the tranquility envelops those watching the sun dip below the horizon. Imagine the peaceful mornings walking out your door to the sand for a brisk walk in the quiet morning sunshine. 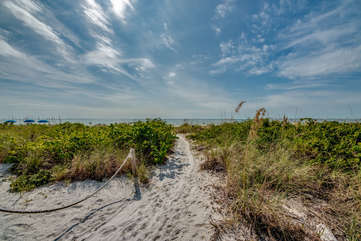 Watch the birds soar or maybe catch a sighting of a dolphin playing in the surf. 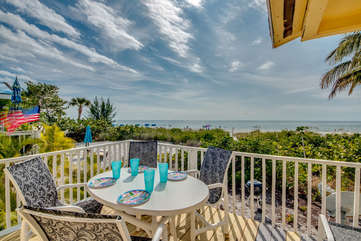 Sip a cocktail on the patio deck or your morning cup of joe before the hustle and bustle of the day begins. 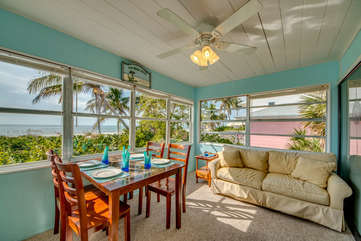 This home with its simpleness will deliver to you a glorious beachfront vacation experience. The home has a queen-size bed in the master and two twins in the guest room. There is a sleep sofa in the living room offering sleeping accommodations for 6 people. The home has one full bathroom. 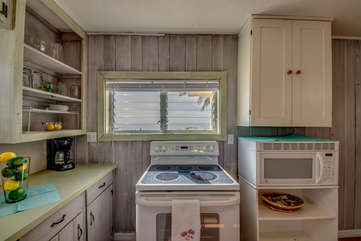 In the kitchen, you will find the necessary equipment for preparing your own meals for those times you'd like to dine at home. 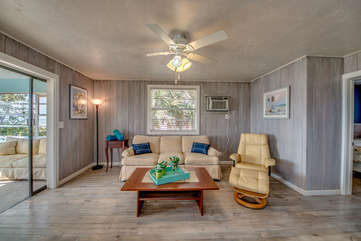 Also in the home, you will find a flat-screen TV and cable TV package along with Free WiFi so you can be sure to have your devices connected. You will find a washer and dryer on the ground level for your use during your stay. Outside the home, there is a nice patio that will give you a perfect view of the beach. 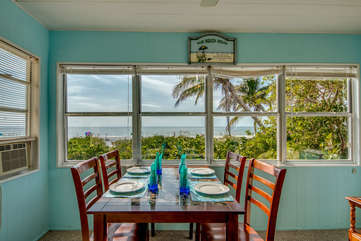 I'm sure you will want to eat all your meals overlooking the white sands of Fort Myers Beach. 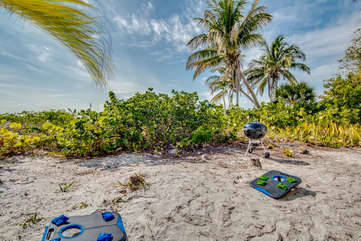 There is a grill available for your use to BBQ up some burgers. Play a friendly game of Corn Hole. Pretty in Pink Bungalow is also available for rent. 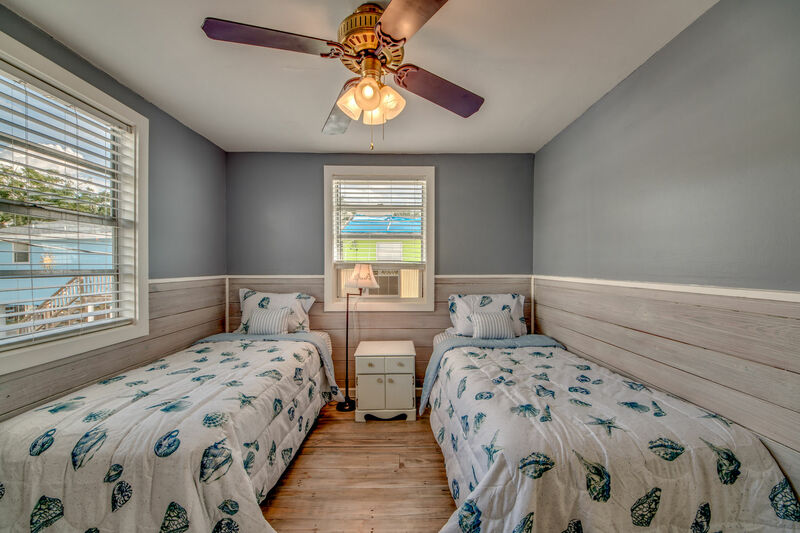 Rent both units when traveling with larger groups. Both units can sleep up to 10 people. Fort Myers Beach sits on a little barrier island, about seven miles long. 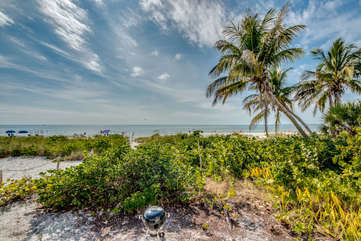 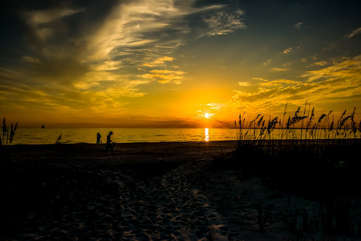 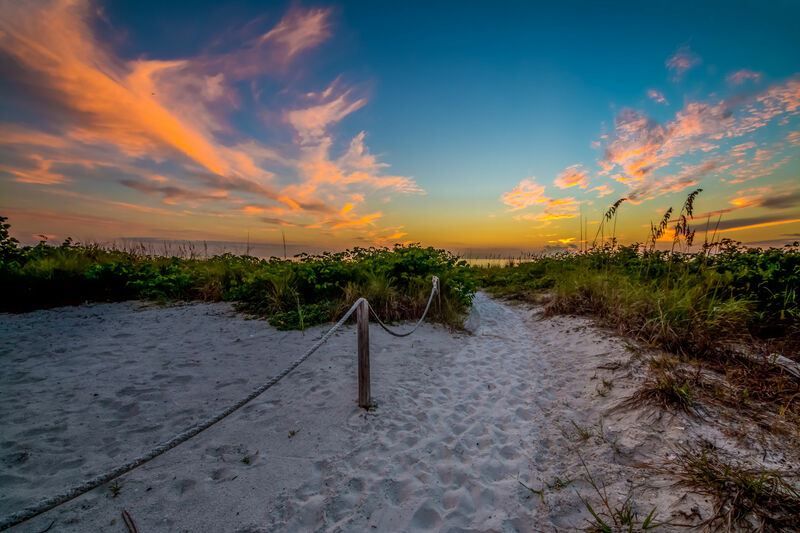 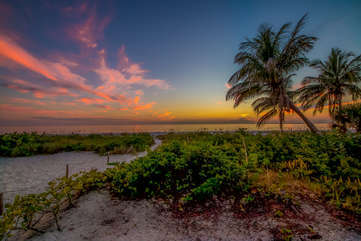 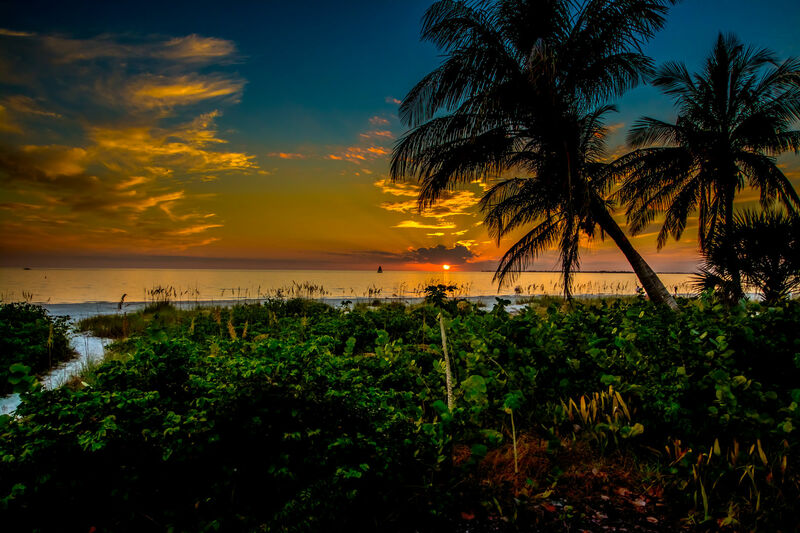 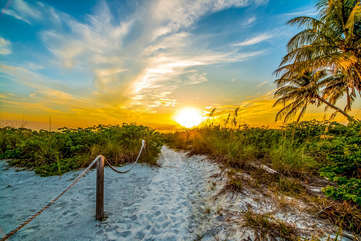 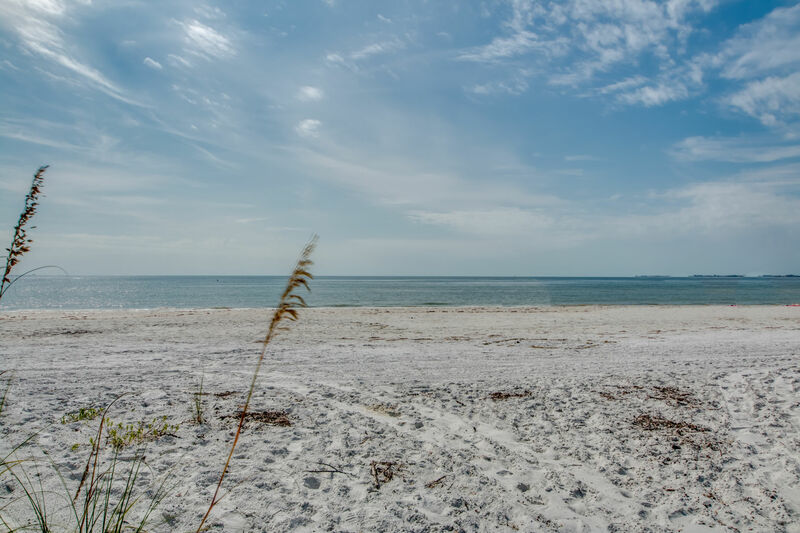 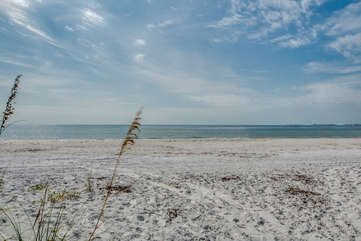 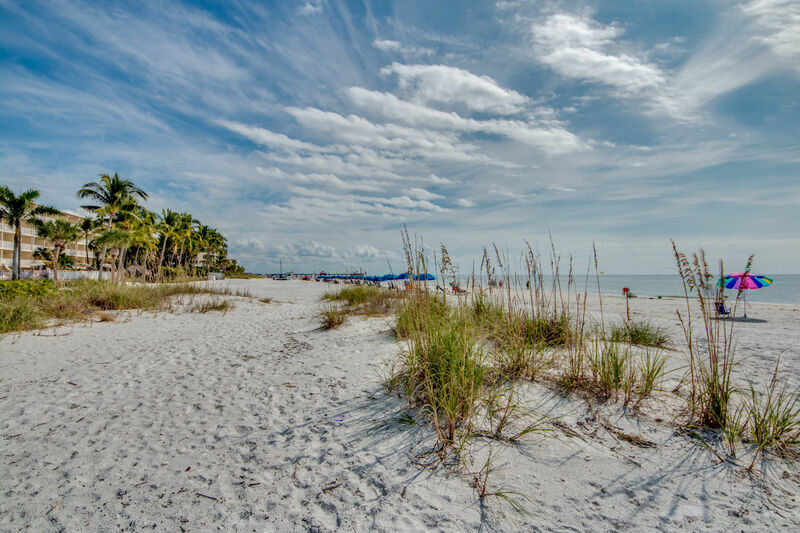 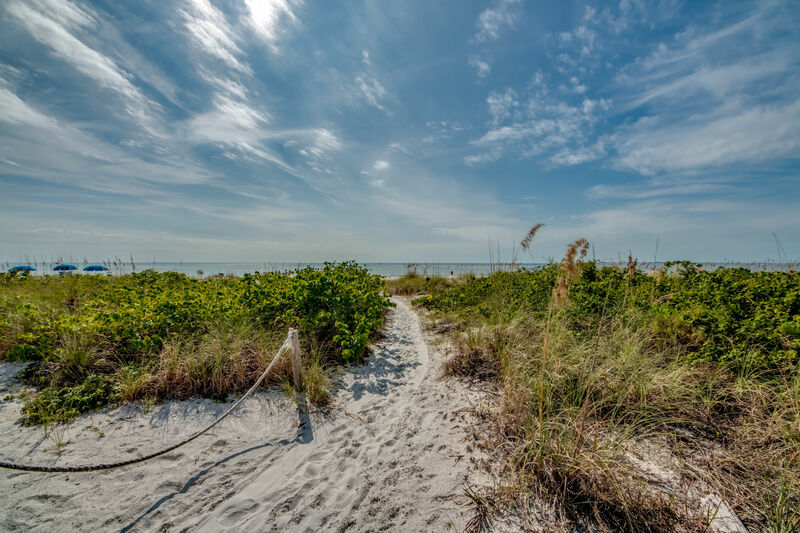 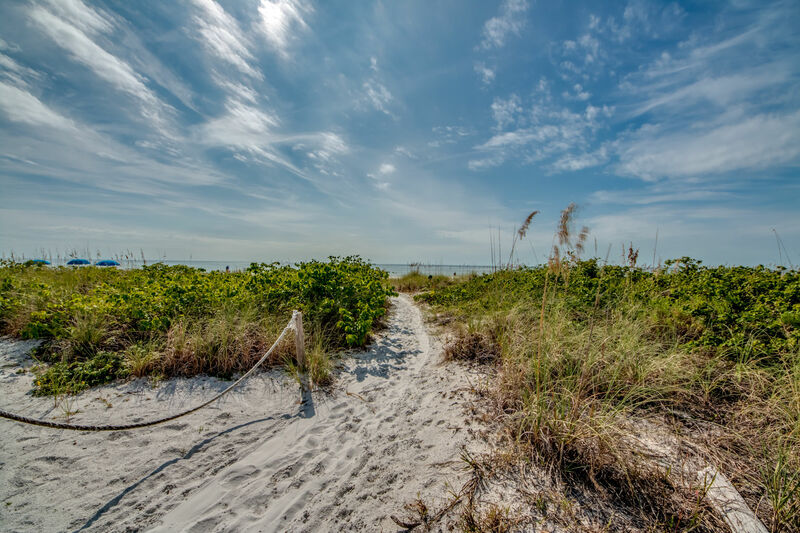 Special bonus: Just off the coast and easy to reach are the islands of Sanibel and Captiva. 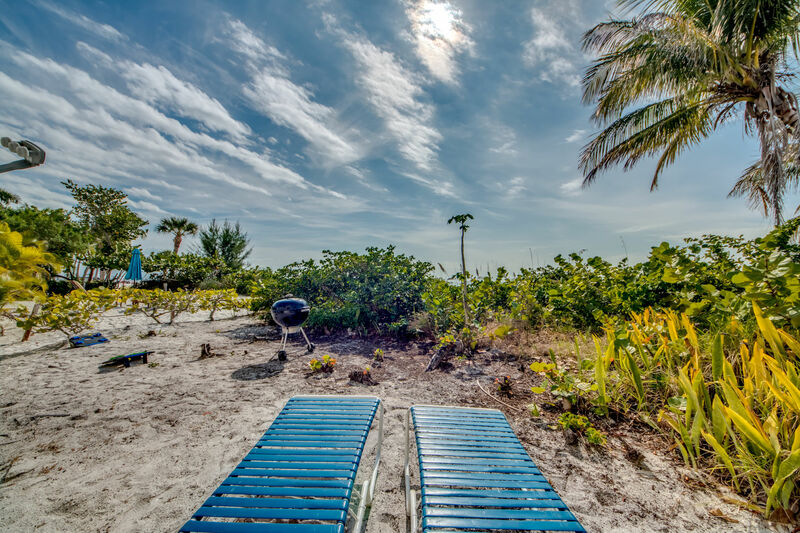 Estero Island is one of Fort Myers' more fascinating gulf playgrounds. Dolphins frequently play in Estero Bay, manatee sightings frequent in this part of the Intracoastal Waterway, and marinas provide a starting point for boating adventures, including sunset cruises, sightseeing cruises, and deep-sea fishing. At the southern tip, a bridge leads to Lovers Key State Park.